Corporate executives and administration officials have a high turnover rate, but secretaries tend to stick around, and some have interesting stories. Ms. Garcia, the office technician for Robert E. Burton Adult School at San Quentin, almost became a parole officer. She studied criminal justice in college because something in society caught her attention. “I wanted to work with parolees because most of them have more motivation in bettering themselves after being incarcerated for so long,” Garcia said. “According to a RAND analysis, every $1 invested in such [inmate] education generates at least $4 in economic return,” reports Fast Company. “The state typically spends $71,000 a year to house an inmate. It costs about $5,000 total to help put one [incarcerated] student through community college”, reports Fast Company. However, while in college, Garcia worked part-time as an after school program manager, coordinating tutoring sessions for at-risk middle school and high school students. Garcia also organized interactive activities to help students learn practical lessons and life skills. She graduated from college in 2013 with a B.S. degree in criminal justice, but her career path shifted from a criminal justice perspective to a social justice approach after she applied for employment. Therefore, instead of working with parolees, Garcia found herself headed to prison. Garcia started working for the California Department of Corrections and Rehabilitation three years ago. 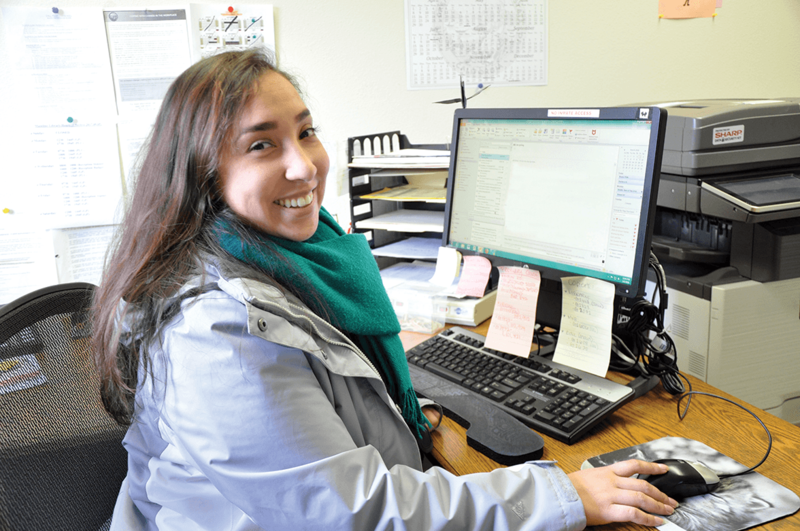 Today, Garcia manages work orders, supply orders and deliveries for 25 teachers, vocational instructors, and the principal in five different locations within the facility. Garcia also orchestrates the education department’s annual graduation ceremonies. “She’s an amazing person and a large part of why our education department runs so smoothly,” said Sufi, an Adult Basic Education II teacher. Mr. Wheeless, the principal, played a role in Garcia’s decision to enroll in a teachers’ accreditation program later this year, so that she can gain more career opportunities. Apart from her career preparations, she is also the caregiver to two Chihuahuas and two pit bulls with a plan of one day having an acre of land for an animal sanctuary for unwanted animals. Garcia wants to have at least one cow, a pig, and a horse at her rescue farm. Garcia works full time, studies part time, and takes care of her four dogs all the time.